Grand Central Cancellations – Important! Grand Central staff will be available at stations with information about making connecting journeys. 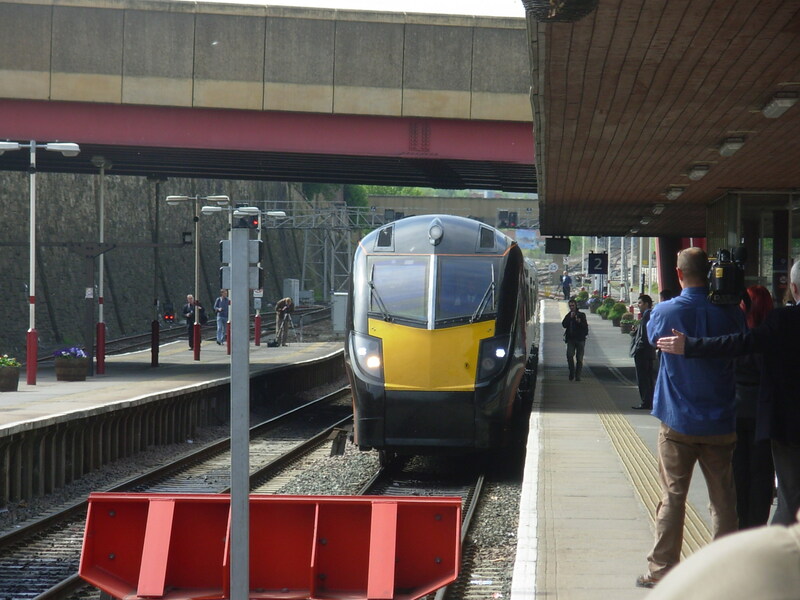 Filed under: Grand Central, Interchange | Tagged: 180, Bradford Interchange, Brighouse, Class 180, Doncaster, GC, Grand Central, Halifax, London Kings Cross, Pontefract, Wakefield Kirkgate |	Comments Off on Grand Central Cancellations – Important! Today, Grand Central operated their first passenger service from Bradford Interchange to London King’s Cross, the first direct service in over 30 years! The service departed at 10.22 from platform 2 at the Interchange on its route via Halifax, Brighouse, Wakefield Kirkgate, Pontefract Monkhill, Doncaster and finally arriving into London Kings Cross exactly at our planned arrival time of 13:46. 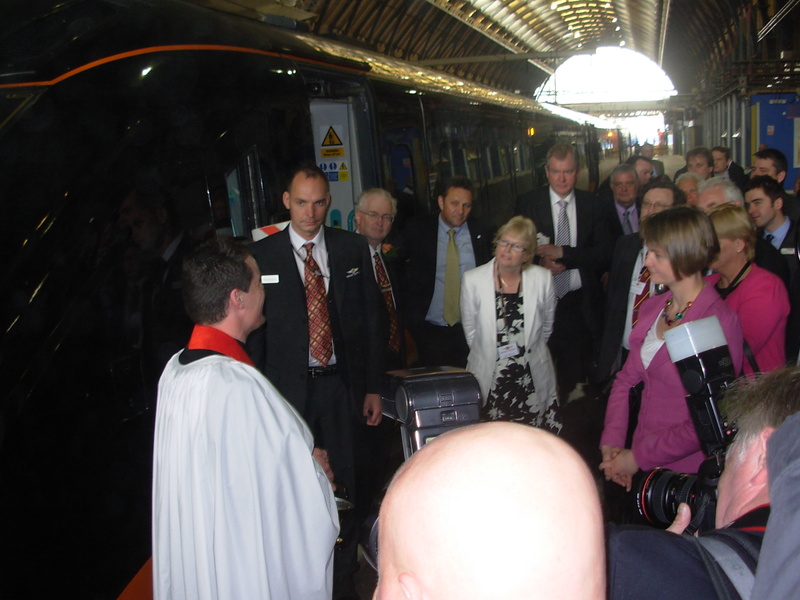 At Kings Cross the train was blessed by the Reverend Stephen Sorby of the Railway Mission. The preview service has been reviewed in the Telegraph and Argus, The Guardian, BBC News (Website). No circumstance was left to chance, even one of the invited guest’s dog was served with his own bowl of water! 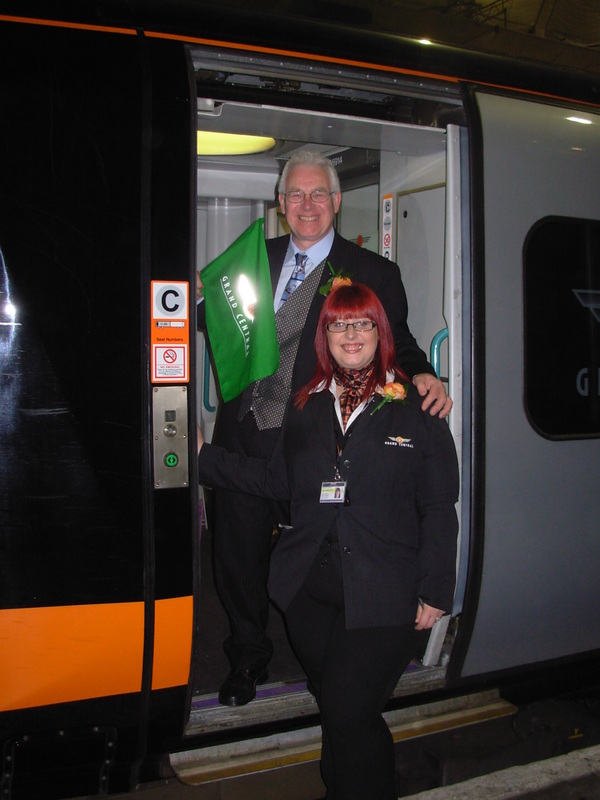 We welcome Grand Central to Bradford and can thorough recommend the service. Services start on Sunday 23rd May at 7:52 departing Bradford Interchange. Clive Barton was recently interviewed in the Telegraph and Argus about the new Grand Central service that starts on Sunday May 23rd. Grand Central will be accepting MetroCard passes for stations between Bradford, Halifax, Brighouse, Wakefield Kirkgate and Pontefract Monkhill.